While reading “The Argonauticka,” by Apollonios Rhodios, and following hero Jason and the crew of the Argo through the islands and ports of call visited by his ship Argo, I came upon several references to the gods worshiped at Samothrace and Lemnos in the Korybantes, Kabeiroi or Cabeiri Rites that were celebrated in ritual dance. Dance, according to the Greek ideal, was one of the civilizing activities, like wine-making or music. These dances perhaps originated as Cretan, and as Dionysus/Zeus oriented purification, or coming of age, initiation rituals. Eventually “Pyrrhicaial” male dance, became a formal competition in the Hellenic world. Armed with swords and shields, group participants were accompanied by drum and rhythmic stamping of feet and performed in celebration as worship, for acclaim and monetary reward. 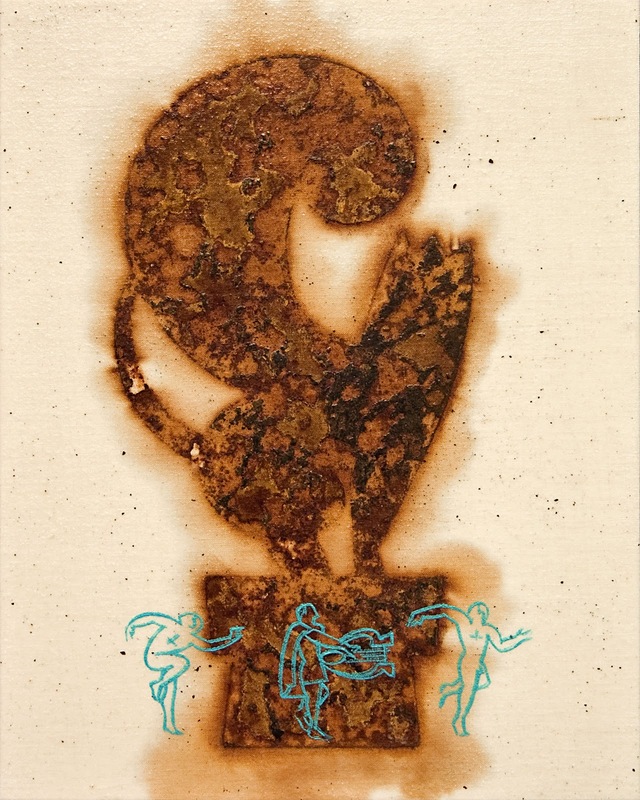 Above, rust prints mounted to wood panel, Pyrrhic Dance, (8 X 10 x 1.5 in.) and below, Persian Dance, (8 x 10 x 1.5 in. ), will exhibit at the Heron’s Nest at 17600 Vashon Hwy. SW on Vashon Island, WA. The show opens December 2, at 6 PM, the first Friday of December. That’s also the official opening of the Vashon Island 2011 Holiday Art Studio Tour. 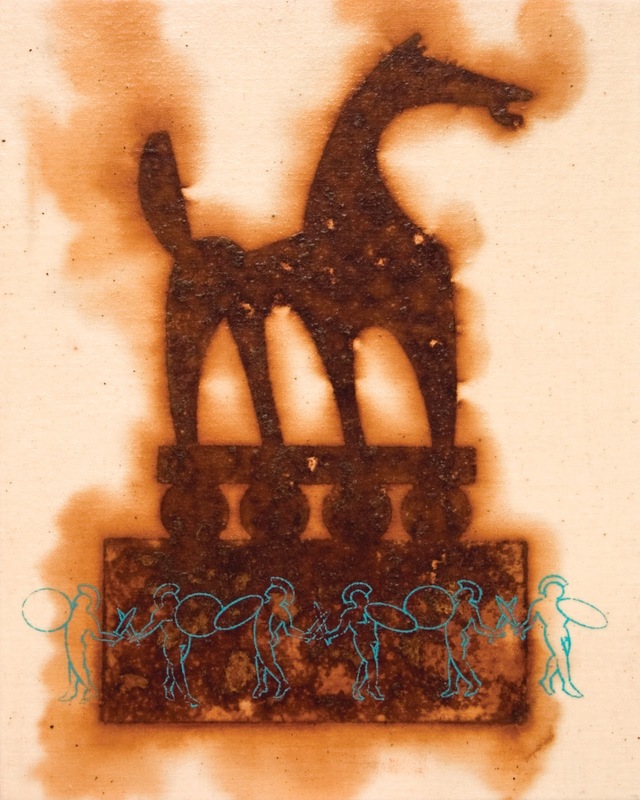 These and several other of my mono prints in rust and monotype prints will exhibit and are for sale at the Heron’s Nest until January 5, 2012.